The Medicare Access to Radiology Care Act (MARCA) of 2017 was introduced on March 29 by U.S. Senator John Boozman (R-AR) as S. 769 and on April 5 by Representative Pete Olson (R-TX) as H.R. 1904. These bills propose a law that amends Medicare reimbursement policy and supervision levels for radiologist assistants to align them with state radiologist assistant laws. ASRT provides a great legislative tracking tool that identifies current proposed legislation relative to radiation sciences. In the new Congress, ASRT will continue to pursue consistent federal and state education and certification standards for medical imaging and radiation therapy technical personnel. There will be some changes in strategy that the ASRT will be using in moving forward with the pursuit of consistent federal and state education and certification standards. As many of you are aware, the political gridlock in Washington, D.C. has made it difficult to pass any legislation, including “common sense” measures like the CARE bill. As a result, ASRT will set CARE aside and pursue new tactical strategies toward achieving our goal. ASRT plans to pursue the insertion of amendatory language that incorporates the CARE bill’s principles into any federal bill that includes Medicare provisions. This includes bills addressing sequestration, the debt ceiling and entitlement reform. This new strategy allows us to jump the “regular order” of the legislative process and gives us greater flexibility and more options to push education and certification standards to enactment. If the CARE bill is introduced as stand-alone legislation, ASRT will continue to strongly support the CARE bill. There are many different ways to get to our end goal of consistent federal education and certification standards and stand-alone bill introduction may increase our opportunities. In addition to pursuing education and certification standards for medical imaging and radiation therapy, ASRT is committed to the enactment of the Medicare Access to Radiology Care Act (MARCA) that will require CMS to set payment policies for the radiologist assistant. ASRT will also support legislation that protects radiologic technologists, enhances patient safety and offers appropriate reimbursement for medical imaging and radiation therapy services. ASRT members will continue to play a vital role in promoting ASRT’s federal agenda and in supporting the renewed focus on state advocacy efforts. The relationships ASRT members have built over the years with representatives and senators on Capitol Hill and their staffs will assist us in targeting the lawmakers who can best identify moving legislation, propose and manage the amendatory language. It is vital for success that all R.T.s keep these lines of communication open and maintain strong relationships on Capitol Hill. ASRT looks forward to working with all R.T.s on continued efforts in advocating for medical imaging and radiation therapy professionals on the federal and state levels! In the House of Representatives on March 13, Representative Ed Whitfield, R-Ky., introduced the Consistency, Accuracy, Responsibility and Excellence in Medical Imaging and Radiation Therapy bill also known as the CARE Bill. This marks the eighth time the bill has been introduced in the House in the past 13 years. H.R. 1146 would set federal education and certification standards in the Medicare program for the technical personnel providing, planning and delivering all medical imaging examinations and radiation therapy treatments. Click here for the full article. The Medicare Access to Radiology Care Act (MARCA), H.R. 1148, was introduced in the U.S. House of Representatives on March 14. The legislation would allow facilities to bill Medicare for medical imaging services performed by qualified radiologist assistants under the direction of a supervising radiologist. Introduced by Reps. Dave Reichert, R-Wash.; Jim Matheson, D-Utah; Pete Olson, R-Texas; and Bill Pascrell, D-N.J., H.R. 1148 would set standards within the Medicare program for services provided by radiology physician extenders, reduce existing RA supervision restrictions and allow facilities to be reimbursed for the services RAs perform at 85 percent of the existing physician fee schedule rate. ALBUQUERQUE, N.M. – The American Society of Radiologic Technologists announced today that the Consistency, Accuracy, Responsibility and Excellence in Medical Imaging and Radiation Therapy bill, S. 3338, was introduced in the U.S. Senate by Sen. Mike Enzi, R-Wyo., and Sen. Tom Harkin, D-Iowa. The CARE bill would ensure that basic minimum education and certification standards are established as part of the Medicare program for all medical imaging and radiation therapy personnel. 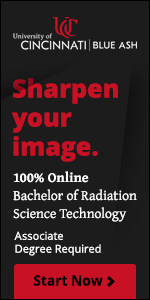 Currently, basic educational standards for medical imaging and radiation therapy professionals are voluntary and inconsistent in many states, allowing some individuals to perform radiologic procedures without any formal education. Six states, along with the District of Columbia, are without any regulations regarding the qualifications of personnel performing medical imaging examinations. In June 2011, the House CARE bill, H.R. 2104, was introduced by Rep. Ed Whitfield, R-Ky., and now has more than 125 bipartisan cosponsors. For more information about the CARE bill, visit www.asrt.org/CARE. The Consistency, Accuracy, Responsibility and Excellence (CARE) in Medical Imaging and Radiation Therapy bill was introduced on June 2, 2011 in the House of Representatives by Rep. Ed Whitfield, R-KY-1., as CARE: HR 2104. Listed below are the representatives who signed on as original cosponsors of the CARE bill. While it speaks volumes to have 19 original cosponsors, we still have work ahead of us. The list below contains the names of cosponsors. If your representative is not on the list, I encourage you to contact them and let them know that the bill is extremely important to you and ask them to cosponsor the bill. If your representative is on the list, please contact them by letter, e-mail or phone to thank them for supporting the bill. Additionally, please ask your representative to reach out their colleagues in Washington, D.C., and ask them to cosponsor the CARE bill as well. Send an e-mail to your representative’s Washington, D.C., office through the ASRT eAdvocacy for You site. The site features an e-mail template that includes all the pertinent information you need to contact your representative. Send an e-mail through your representative’s website. Your representative will be home working the week of June 6-10. Please make every attempt contact him or her by making an office appointment, attending a town hall meeting or calling the local office. You can find phone numbers and the schedule of meetings on your representative’s website. If you have any questions, contact ASRT. Together we can make it happen! Visit the ASRT Web site, www.asrt.org, for more information.